Maurice Sporting Goods selected HIMPACT, a best of breed supply chain solution for retail and wholesale. Since implementing HIMPACT, Maurice Sporting Goods is fully equipped to improve customer service levels, lower inventory, and increase profits. 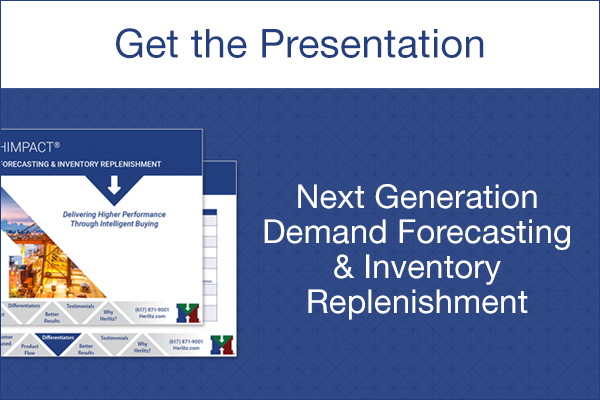 October 2018, Cambridge, MA – Herlitz Inventory Management, leading innovator in scientific demand forecasting, replenishment and optimization, announced its selection by Maurice Sporting Goods, a fishing, marine, hunting and outdoor recreation supplier to retailers. Herlitz Inventory Management delivered a rich, market focused, customized solution that optimizes customer service levels and will increase profits. Maurice Sporting Goods supplies products serving mass retailers and independent dealers throughout the United States and international markets.Maurice Sporting Goods is a highly seasonal, regional and SKU-intensive business. It has products that are sourced both domestically and internationally. With 42,000 client/store fronts, 15,000 SKUs, four buyers, and two distribution centers, Maurice Sporting Goods sought a more advanced and efficient inventory management system. HIMPACT was selected because it helps improve customer service level performance. It offered expanded capabilities, such as seasonality and promotions management, over the previous system. Further, HIMPACT delivers improved daily and monthly forecasting capabilities, daily exception management, and future forecasting for vendor trade. In both wholesale and retail environments, time is an extremely valuable asset. For Maurice Sporting Goods, a major factor in choosing the HIMPACT solution was the standardized user platform, ease of use, and quick learning curve.